They laugh, and somehow is just makes us feel good! When you look at their smiles, it makes you happy!! 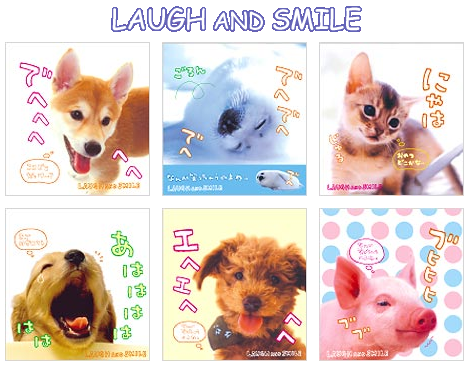 You can tell by looking that this series is about smiling animals. Let’s all smile and have fun together!! A haha haha. There are several different ways to laugh, aren’t there. Laugh and Smile goods will widen the scope of smiles! !